Just as in one of my favourite Christmas songs, it is indeed pretty cold outside and it is not getting any warmer in the foreseeable future. So the only thing left to do is to wrap up warm. 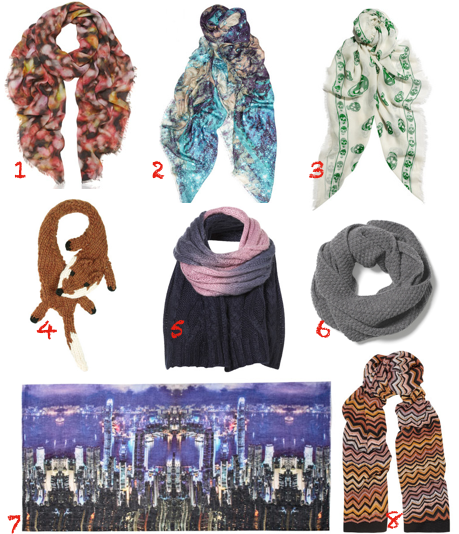 This blog is dedicated to scarves – an easy and chic way to add some style and all-needed warmth this season. I am pleased to say this particular topic was requested by this blog’s frequent reader Svetlana Kh – thank you for the inspiration and I hope you like the results. Just as always My Fashion Wish List mixes designer brands with more affordable high street pieces and below, in no particular order are my favourite picks: from classic to eccentric, from printed to knitted, and from monochrome to multicolour. If you like one – all you have to do is click on the name to be redirected to its online retailer. Enjoy the selection and happy shopping! 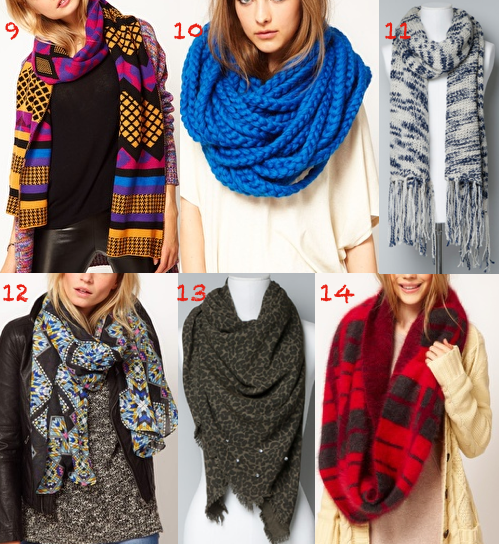 You are currently reading Baby, It’s Cold Outside – The Scarf Edition at MY FASHION WISH LIST.